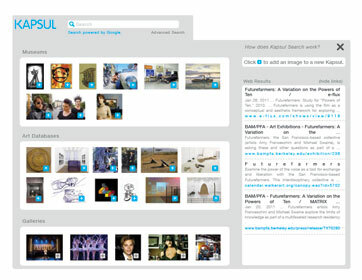 Search and collect images and texts from art sites across the Web. 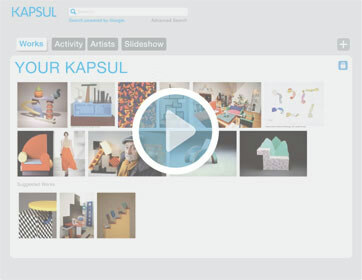 Kapsul Search is powered by Google to reach throughout the Web, but filters and categorizes results to help you find and collect content relevant to art and visual culture. 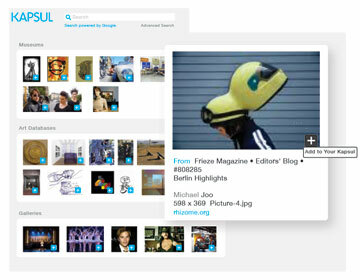 Images added from Kapsul Search are linked to their sources, so you can refer back to the original pages later. 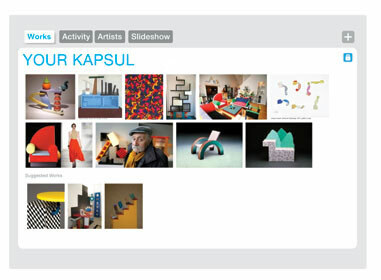 Curate images, videos, and texts into collections called Kapsuls by adding them directly from search results, files on your computer, or a website. 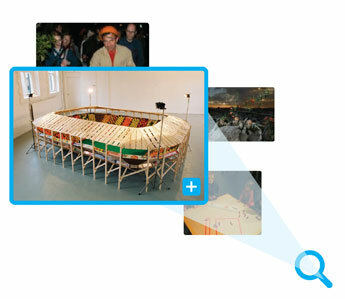 Within a Kapsul, images, videos, and texts can be organized into sets and tagged with metadata (such as artist and title). To start a Kapsul from images you already have, simply drag and drop files from your computer. 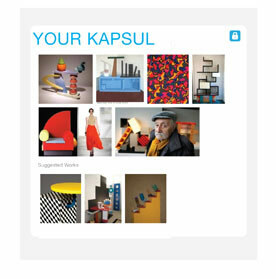 Share your Kapsuls with friends or colleagues and invite them to view and collaborate. 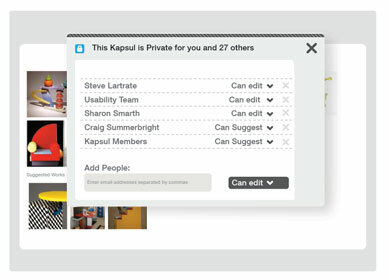 You can invite people to view, make suggestions, or collaboratively create a Kapsul, or you can keep your Kapsul private. Create public links to share your Kapsuls over email, embed them in your blog or website, or post them to sites like Facebook and Twitter. 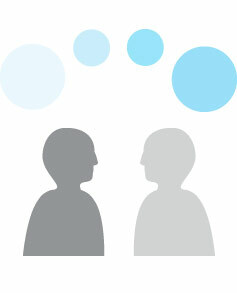 Watch a three-minute video introduction that will guide you through creating and sharing a new Kapsul. 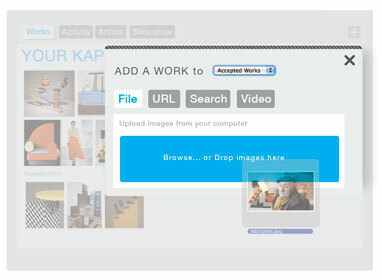 Try a search and add images from the web or start a new Kapsul and upload images you have.